Heads and bodies are brass with plated finish as indicated. 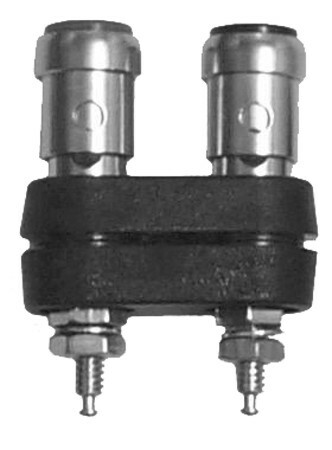 Insulated caps on heads are available in read (-102) or black (-103) or for the Dual posts, a combination (RR, RB, BB). Please add color as suffix to part number.